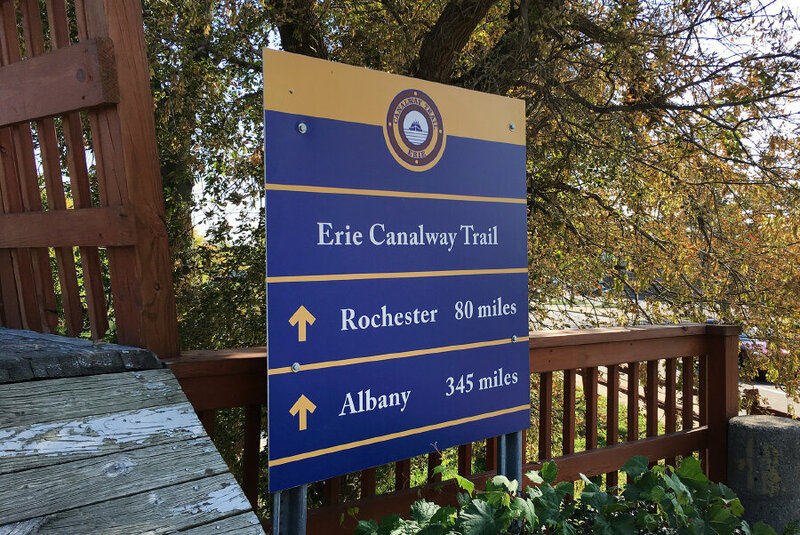 We've received requests for more inexpensive tours, so we developed this short, flat trip on the Erie Canalway from Buffalo to Rochester, NY. We're able to offer it at a budget price by replacing restaurants with simpler buffet dinners and picnic lunches. We'll end the tour with a visit to WomanTours world headquarters, so come see us! 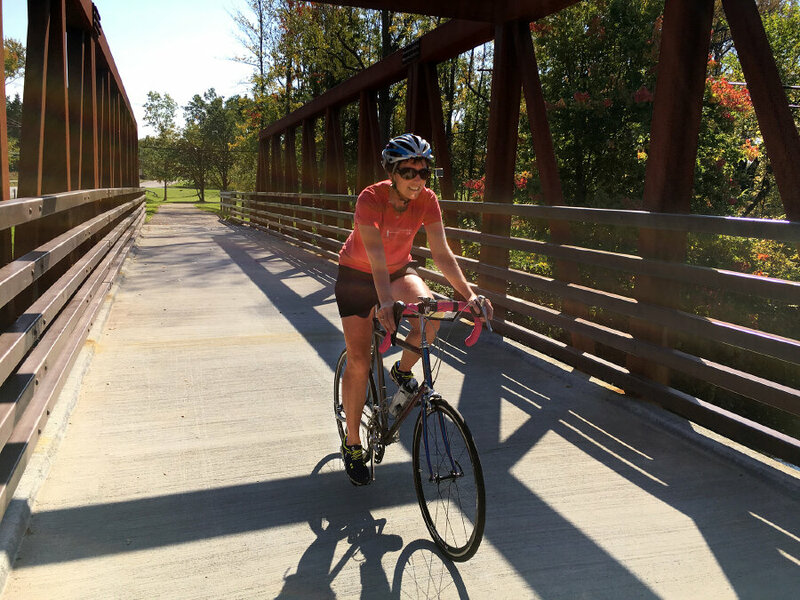 Flat terrain on a mixture of crushed stone and paved trails and quiet roads. Leisurely to moderate cycling level. 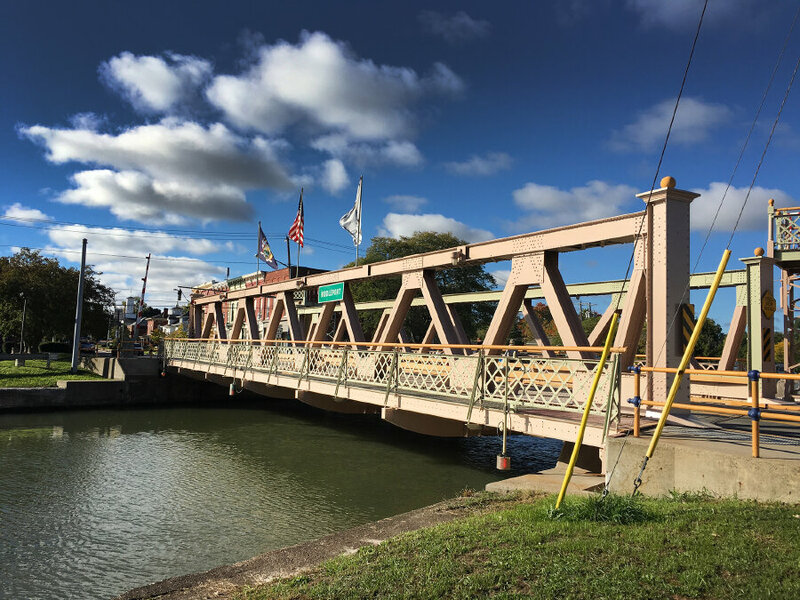 3 nights lodging, 3 breakfasts, 3 dinners, 1 picnic lunch, snacks, vehicular support, luggage transfer, mechanical support, Erie Canal Discovery Center entrance fee, cue sheets and GPS files, trained guides, and shuttles at the start and finish of the tour from Rochester. $195 for a Specialized hybrid or road bicycle designed specifically for women. $295 for an electric-assist bicycle. Fly into Buffalo, NY and out of Rochester, NY. Or fly or take the train round-trip to Rochester, NY. You can also drive to Rochester, NY and leave your car at our WT office during the tour. We will provide a shuttle at 12:45pm from your car in Rochester, 1:00pm from the Rochester airport, or at 1:30pm from the Rochester train station to the start of the tour. 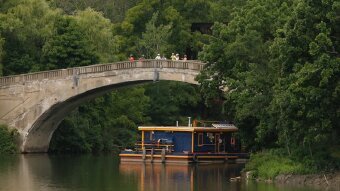 At the end of the tour, we will shuttle you to the Rochester airport or train station by 2:00pm. 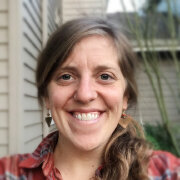 DAY 1: We‘ll meet for a rental bike fitting at 3:00pm, orientation at 5:00pm and dinner at 6:30pm. 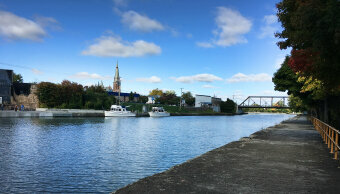 Our hotel is in downtown Buffalo, a short distance from the terminus of the Erie Canal. If you arrive early, take a walk to the largest city hall in the country. The Art Deco building is just a few blocks from our starting hotel and has an observation deck with a beautiful view of this historic city. 0 miles. 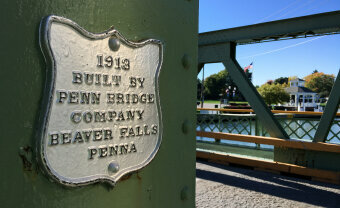 DAY 2: Built in 1825, the Erie Canal was considered an engineering marvel. 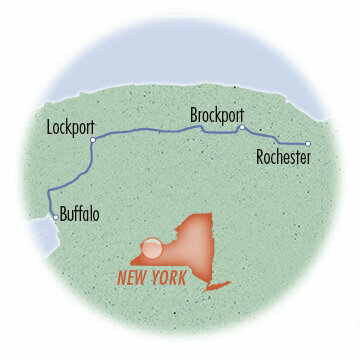 It facilitated trade between the busy port of New York City and the rural farmland of upstate New York. 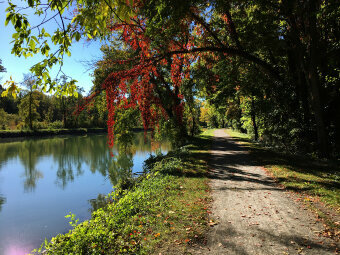 Long overtaken by railroads, highways and airplanes to move goods, the 385-mile long beautiful waterway is now used for recreation and has been designated a National Heritage Corridor. We will ride the westernmost section of it on this tour. We begin after breakfast on a paved bike path starting from the Niagara River through downtown Buffalo. 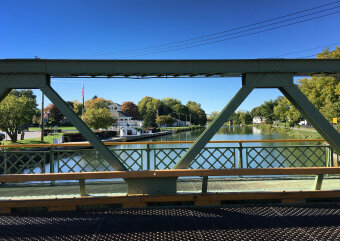 We'll turn onto the canal and ride beside it until we reach the town of Lockport. 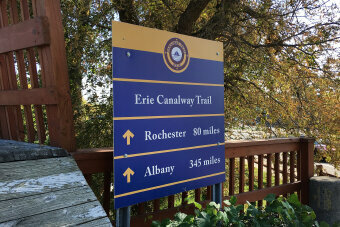 We should arrive in plenty of time to explore the Erie Canal Discovery Center. You’ll get a better appreciation for the construction of the series of locks necessary to move the boats up more than 70’ here. You can see some of the original locks built in 1825 alongside the modern ones being used today. It’s fascinating to think that the method of raising and lowering boats in a canal hasn’t changed that much over the centuries, and the same method is used today in the Panama Canal. 32 miles. DAY 3: Today we'll cycle on a variety of terrain, everything from a crushed stone trail to paved roads. We’ll cycle past farmland and through small rural communities. 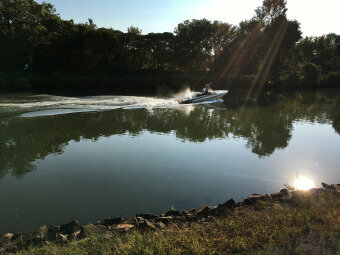 We’ll see the historic remnants of the narrower original canal from 1825, as sections of the canal have been reconstructed and widened throughout the years. We'll learn to appreciate how the canal moved not only food and goods from the Midwest, across New York and into NYC, but it moved people and ideas too. It helped spread social reforms such as the abolition of slavery and the growth of women’s rights. Abolitionist Frederick Douglas and suffragist Susan B. Anthony are both buried in Rochester. 45 miles. 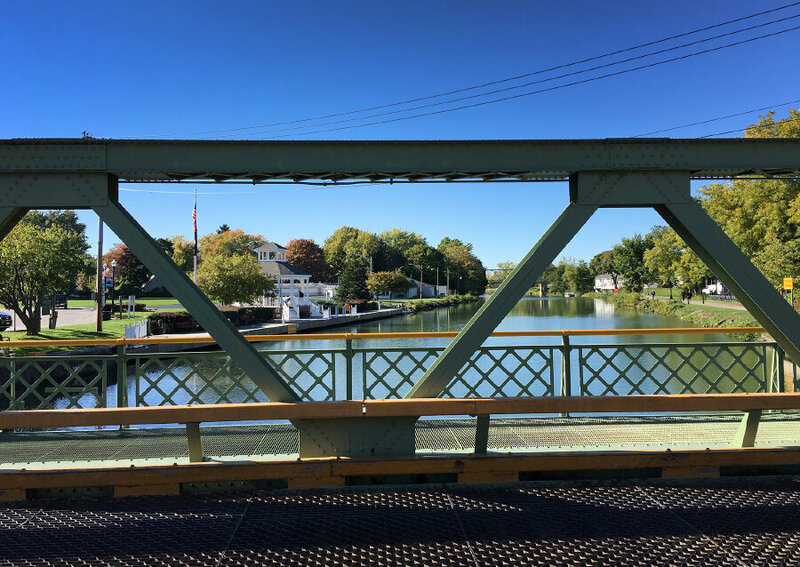 DAY 4: Our final ride parallels the canal and takes us into Rochester, NY. 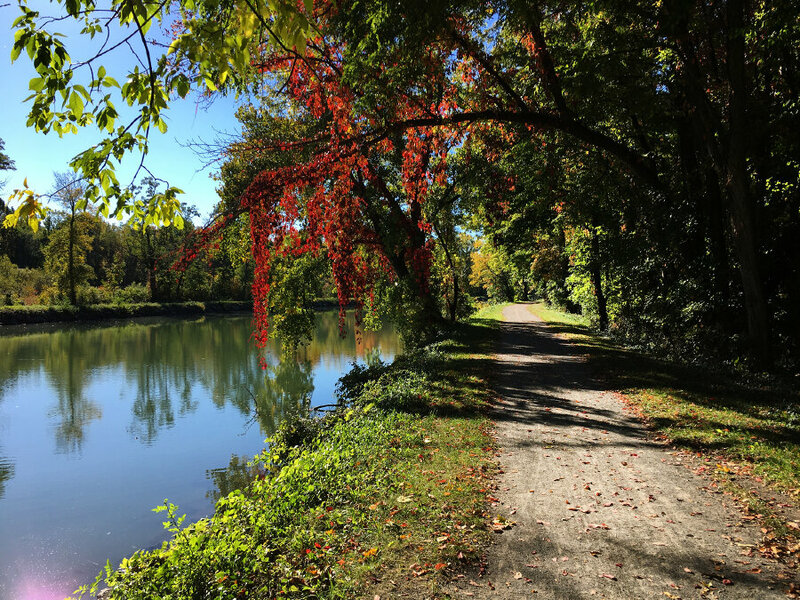 We’ll cycle through a beautiful park where the canal crosses the Genesee River and learn how a dam was used to raise the river to meet the canal. We’ll celebrate the conclusion or our ride with a picnic lunch at WomanTours world headquarters. We'll provide a shuttle to the Rochester airport or train station by 2:00pm for your trip home. 25 miles.